I brought the big camera down to the beach twice--once in the evening and once during the day. I needed a few shots of everyone on the beach--and while they weren't necessarily cooperative or amazing, at least they exist. It's just so fun to scroll back and see how the boys have changed at the beach every year! 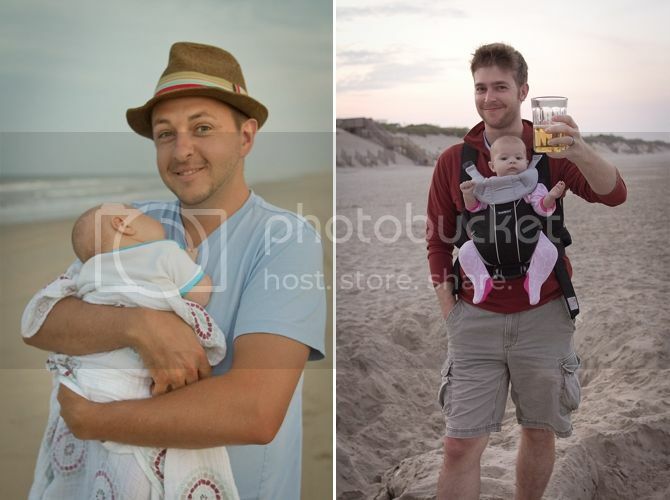 We were grateful for dads to hold cute babies on the beach. 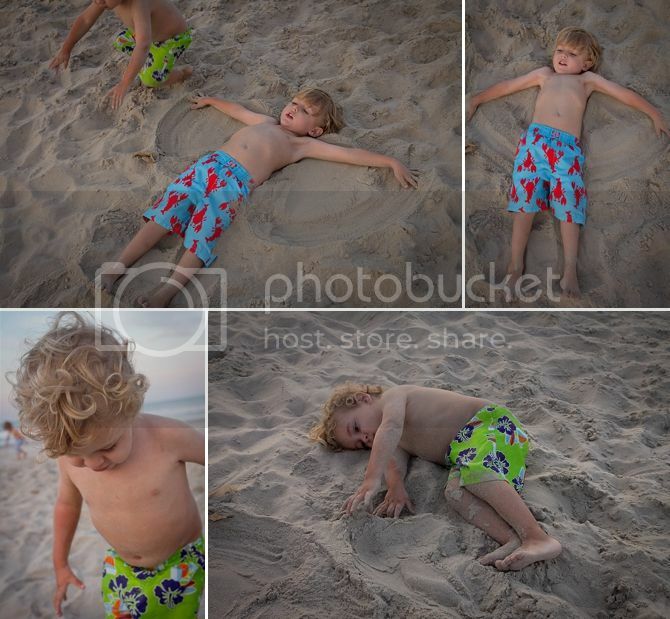 The sand provided endless entertainment--Finley loved to make sand angels and write his name in it. Once Braden realized what he was doing, he made up his own version of it. Laying in the sand and dragging a stick around. It's so fun to watch them start to be pals and figure things out together. The following day at the beach, Braden decided to be #bradyzilla. For some reason he HAD TO HAVE this post it note, and was really sad I wouldn't let him take it into the ocean. Cue epic meltdown. Eventually, he got over it. He probably found something shiny. 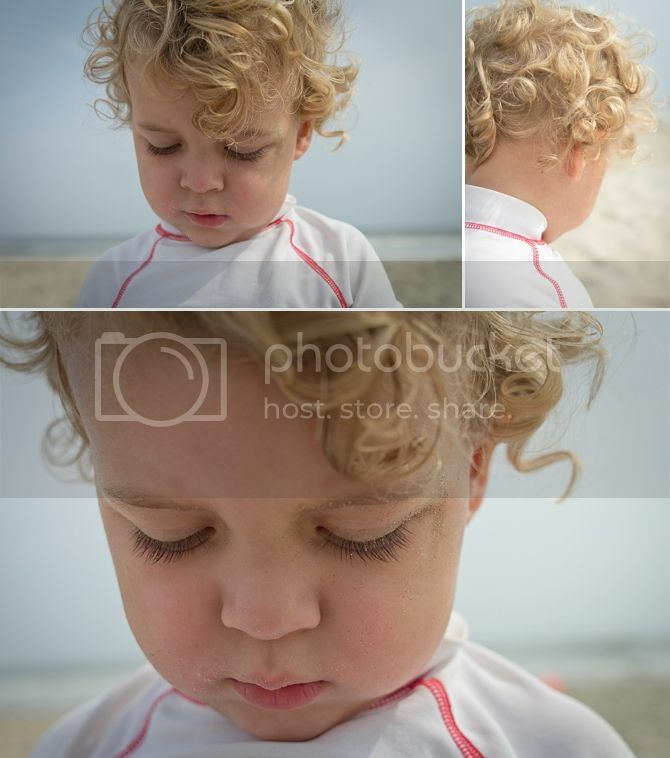 And he held still while I photographed his beachy curls and the sand in his eyelashes. 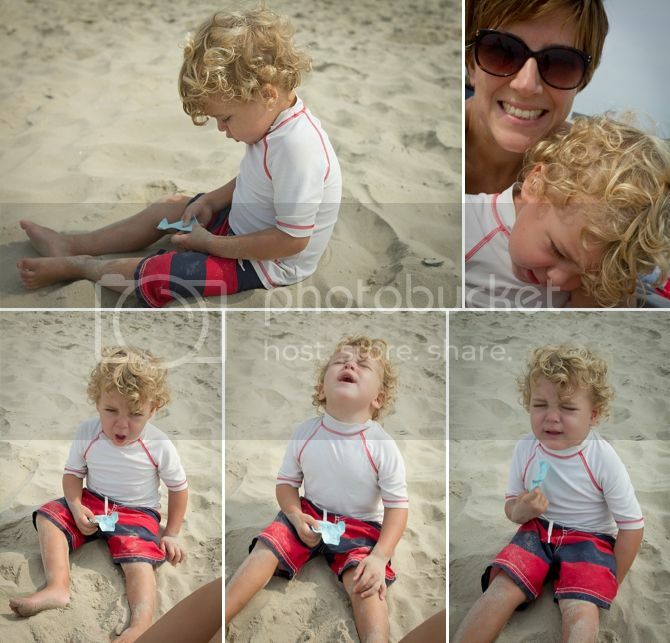 I don't know how the sand all over his face wasn't driving him crazy! 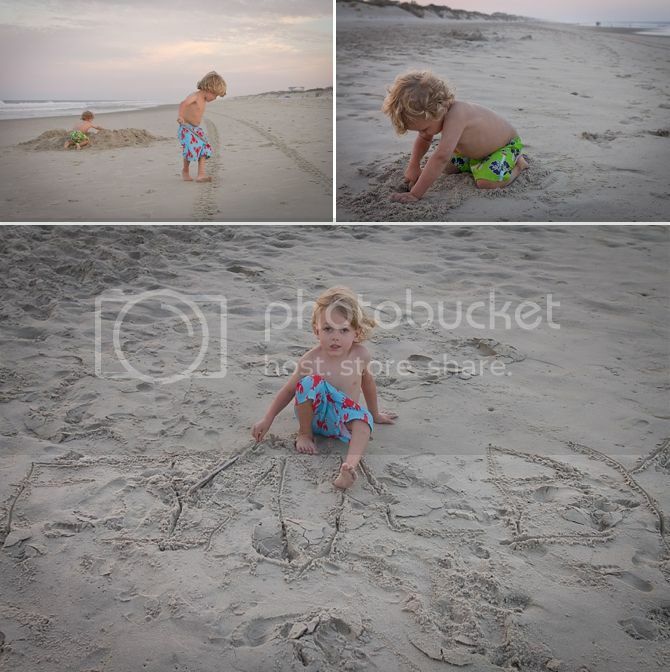 I don't have any great pictures of this, but Finley was REALLY in to making sandcastles--which was perfect because Braden was REALLY in to smashing them. 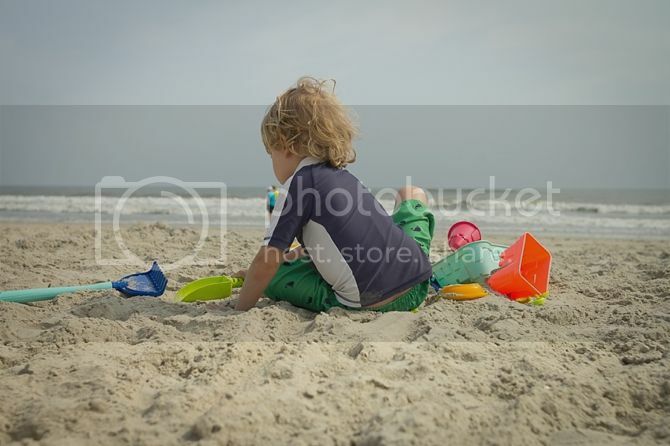 If he saw you even thining about making a sandcastle, he was there, ready to smash. Finley was a good sport about it and only got a little frustrated. There's not a ton of proof that Sol and I were there together, but here's an attempt at a selfie! Sol had a hard time because the sun was blinding him. These two pictures are the proof Keaton was there too--top of his head and snuggled with me. It was pretty crazy for us to bring a seven week old to the beach, but he was a trooper. He slept better there than he does at home! He didn't ever make it in the water, and I don't think he minded too much. 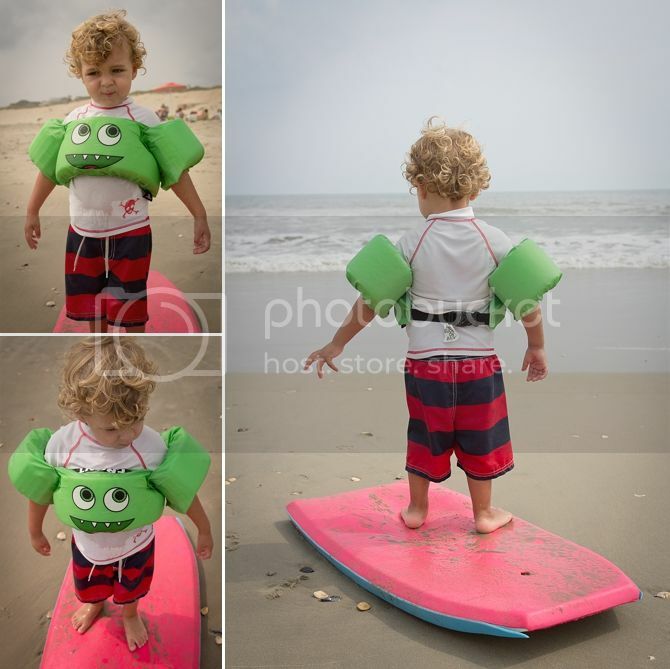 I posted the video of Finley boogie boarding last week--and here's Braden playing in the surf. He really loved it. He loved letting the waves knock him down and push him in on his belly--which terrified me. 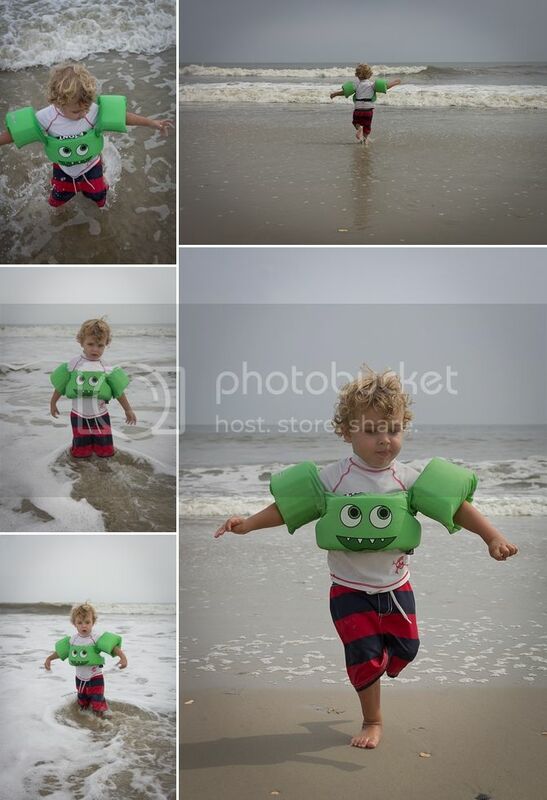 Luckily he loves to wear his "froggie" floatie, so he was at less of a risk of going under. There you go! 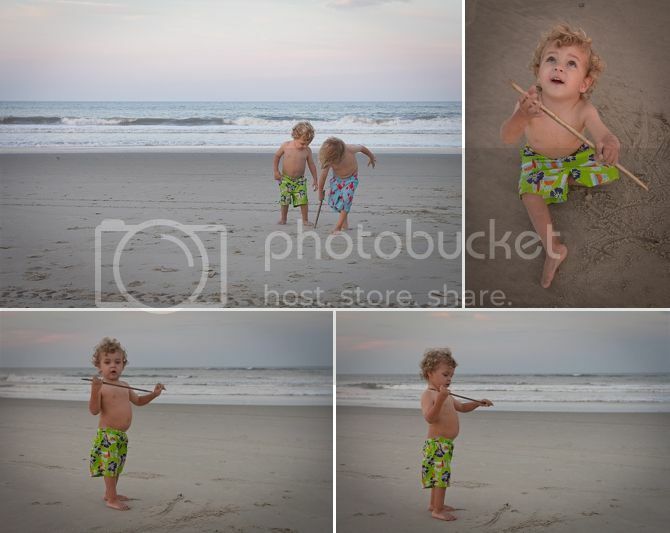 Some beach pictures. We loved it. The waves were awesome for boogie boarding and it was one of the nicest weeks of the summer according to the locals. Perfect weather, no rain, warm water and not too hot on the beach. We're already planning a trip for next year--and hopefully our persistent Instagramming encourages more people to join us! This looks like a private beach- were you on a private beach?? I'm also obsessed with those lobster trunks! It does look like a private beach! Our house backed up to it, but it was public access so there were other people there. I don't know how I avoided shooting any of them... and yes, the lobster trunks are my FAVE. Hey I'd like to go too! But my summer is six weeks, and I don't think until you move to TEXAS you'll be on my schedule.